This non-ballistic platform is designed to offer a high level of impact protection, ventilation, and comfort, no matter what the task. The AMH-2 shell is certified to EN 397 for impact attenuation. This combined with our latest Comfort Protection Pad (CPP) suspension system offers both multi-impact & shock protection capability. This impact management system is further designed to offer good ventilation and comfort. The CPP system can be quickly adjusted, making it easy to tailor fit specific head shapes/sizes. Our retention system uses wheel dial technology which is easy to operate and provides a secure and snug fit. The operational capability is further increased with our new multi-function side rail which can accommodate various devices (cameras, strobes, etc) whilst also using visor capability. This unique rail system provides our Speed Connect System (SCS) where modular protective visor capability for varying threats can be added in seconds. The AMH-2 is designed with the user in mind, providing first rate modular protection, ventilation, and comfort for prolonged periods of use. 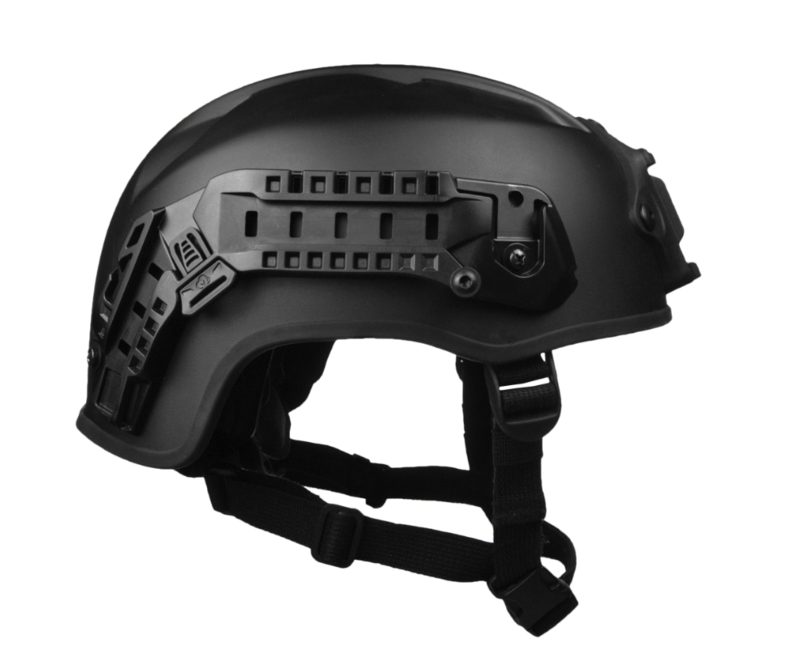 Our most recent modular protective accessories include removable side plates to protect the ears, removable neck protection and blunt impact face shield visor with a rubber seal preventing fluid access. The ability to scale helmet protection up and down for the ever changing threat is now here. Whether you’re dealing with a riot situation/protesters, part of an emergency response team, extracting prisoners or just riding around in an emergency response ambulance. The Busch PROtective AMH-2 will provide you with the ability scale your protection for the threat and much more!